A remarkably simple discovery may help to explain how cancer gets started, and it may lead to an even simpler preventive remedy. To understand this discovery, a short course in DNA repair is required. It is well known that in early stages of cancer there is chromosomal instability caused during DNA replication. As cells divide (mitosis) and are replaced by new cells, spare parts are needed to facilitate the formation of new DNA strands. 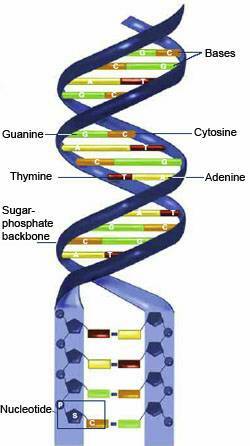 The rungs on the DNA ladder, which are called nucleotides, are lettered as A (adenine), C (cytosine), G (guanine) and T (thymine). These four nucleotides comprise the steps on the DNA ladder. A, C, G and T nucleotides are essential for DNA repair. Researchers have found that a shortage of spare nucleotides produces stress on the DNA repair mechanism that can lead to breaks in DNA and eventually to the development of precancerous tissues. Strikingly, when supplemental nucleotides are supplied, stressed DNA is “rescued” during its replication which dramatically decreases transformation to a pre-cancerous state, thus restoring stability to the genome (library of human genes). Researchers write that chromosomal instability is a hallmark feature of nearly all solid tumors and adult onset leukemias. This instability develops at the earliest stage of cancer. The unexpected discovery is that an insufficient pool of nucleotides to support normal DNA replication results in DNA damage, while the provision of supplemental nucleotides averts the problem. Furthermore, a shortage of nucleotides combined with a deficiency of folate (folic acid- vitamin B9), which is also needed to facilitate DNA repair, combines to rapidly produce pre-cancerous tissues. Greater biological stress is applied to DNA when viruses begin to rapidly replicate as they produce a large amount of DNA during infection. This could result in the shortage of nucleotides researchers have now noted. This corroborates with what some researchers think, that cancer gets started by infection of some sort. Cells and tissues that don’t live long and are replaced rapidly are where most biological DNA stress will first be applied. Fortunately as cells are dying, other cells are reaching maturity, and they start to divide and make new cells. The average life span of cells can vary from just a few days to many years. Heart muscle cells, for example, don’t renew themselves but maybe every 10 years or so, and cancer simply can’t get started there. But the most common fast-growing tumors begin in tissues that have a fast cell turnover rate. So that you can get an idea of how long average cell life in various tissues is, included is this short list below. Nucleotides are made from dietary components. The human body can also create nucleotides or recycle them. Human cells are very sensitive to the amount of free nucleotides floating within their nucleus or the cytoplasm. 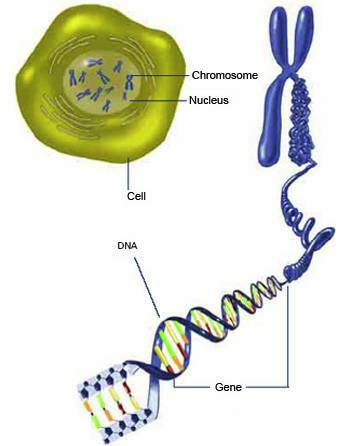 The cell will always elect to use already created nucleotides before making new ones. Supplemental nucleotides are available in health food stores and are often labeled as RNA. Nucleotides are often included in infant formulas to prime the immune system during a period of rapid physical growth of a child. Nucleotides are also provided to astronauts to boost the immune response (replication of white blood cells) in outer space. Supplemental nucleotides are often recommended during wound repair and to protect the gastric tract in states of disease (example: Crohn’s disease). Nucleotides are also appropriate for burn patients who have obvious need to rapidly repair tissues. People who are diagnosed with cancer often describe a history of some sort of wound repair or infection prior to the detection of their cancer. This would make sense in light of the theory that during periods of greater DNA repair there is a shortage of nucleotides which gives rise to incomplete DNA repair and precancerous states. — © 2011 Bill Sardi, Knowledge of Health, Inc. Not for posting on other websites. I have CFS and I had a cellular DNA test recently which showed I had cell die off similar to a patient on chemotherapy. My doctor recommends a ‘stone age diet’ of meat and vegetables and RNA. At the time I didnt understand why this diet and the supplement but now I understand. CFS sufferers have a large number who eventually find the disease turns to cancer. Thanks for the heads up.